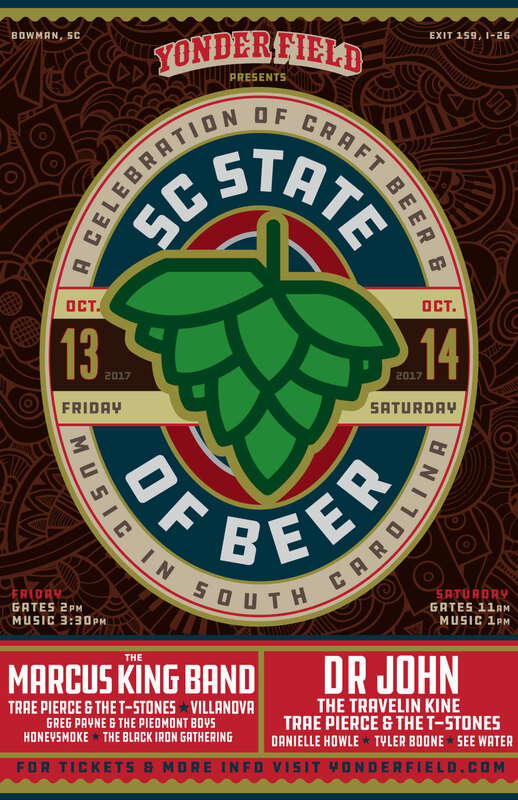 yonder field is pleased to announce the first annual sc state of beer music and beer fest. celebrating south carolinas craft beer and music. this will be a stellar weekend. i know i will be there. hell, the marcus king band?! are you kidding me? if you haven’t heard this force of nature, go listen to his band now. and i haven’t even mentioned saturdays headliner, the legendary dr. john and his band. holy moly. plus look at the other folks playing, great lineup. and you know what? i haven’t even mentioned the beer the will be flowing. come taste some of the greatest small sc breweries and their world class libations. get your tickets now, they are going fast! right on!